View the entire table of contents for the May 31, 2013 issue. Could Alcohol Help Keep You Trim? A team of researchers at French universities in Lille, Toulouse and Strasbourg has found that daily, responsible consumption of alcohol may help keep men thinner. Wine Spectator's Jacob Gaffney reports. 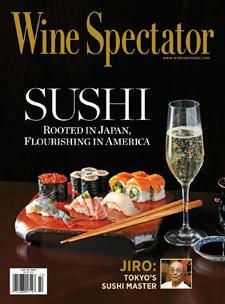 For the full article, check out the new issue of Wine Spectator, on newsstands April 23, 2013.